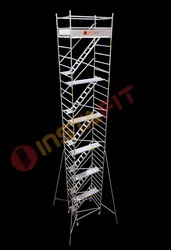 Being a leading firm in this industry, we are deeply engaged in offering a high-quality range of Bridge Tower. 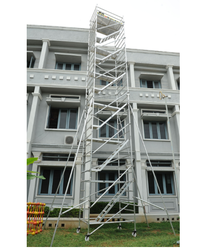 We are the leading firm of Cuplock Scaffolding System. Use: Maintaining, Constructing And Repairing Of Buildings. Aron feed barrier for dairy cow. Head Locking. Kwickstage / Wedgelock is a modular System Scaffold with wedge fixing for all access Scaffold requirements. The wedge fixing of the ledgers and transoms gives a simple and fast means of erecting access scaffolding without loose parts. Rigid 4 way Fixing giving a positive location without movement. Owing to a long-term destination for our business, we are engaged in providing a wide assortment of Cuplock Type Scaffold. The offered product is manufactured under the direction of experts using optimum quality material and contemporary machines in compliance with set industry parameters.